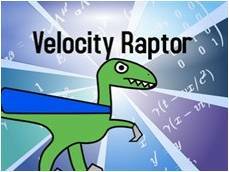 You may find during your lessons that students have several misconceptions related to special relativity. It is important to address these misconceptions as they come up because confusion on an earlier concept may lead to progressively more confusion on more complex concepts. What follows are a few of the more common misconceptions that students may have and how one can address and rectify these misconceptions as a teacher. Students fit the new material learned into their already constructed mental map of the world, often leading them to think that there is only a visible effect in special relativity without the physical behaviour of the objects being affected. The effects of special relativity does in fact change the physical behaviour of objects. Evidence of of this can be found in particle accelerators, where subatomic particles are accelerated close to the speed of light. We can clearly observe the changes in, for example, the apparent masses of the particles, which increase greatly. In fact, heavier particles have been created through the collision of counter-rotating beams of electrons and protons. Review what occurs during length contraction and time dilation. Lead a class debate on whether students think that the relativistic effects that affect an object only ‘appear’ to occur or whether they are actually happening. Students misapply time dilation and length contraction simply because a distance and time is provided in an equation. The equations for time dilation and length contraction can become confusing especially when the same equation has to be used in different contexts. 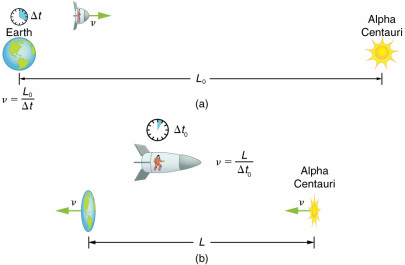 Students may have trouble identifying which time and position variable to use for each observer in time dilation and length contraction equations but problems are not just limited to these equations. Sometimes students get confused in general about how to apply information and whether relative effects need to even be considered at all. Making students understand that sometimes physics problems require that they find out two or more pieces of missing information using what is given before they can get to the final solution. Implementing a student task around the question: Can you make up a problem where you need to use what is given in order to find another important piece of information before getting to the final solution? Review the GRASP method with students by going over practice problems, making sure to emphasize the ‘Required’ section and that sometimes more missing variables need to be known and added to this section before one can get the final solution. Ask students to make up their own problem which requires that they find out another variable before getting to the final solution. "Proper length" is not necessarily the correct length. "Proper length" is simply a name given to the length of an object that is stationary in an inertial frame in Physics. The word "proper" does not mean 'true or exact', as we may be used to in everyday contexts. Ask the following questions: We have seen that time is not absolute, since it depends on the frames of reference of observers so is length absolute? If length is not absolute, is there really such a thing as a correct length to begin with? Conduct a group thought experiment:Assume a cylindrical spaceship 10 m in diameter is moving past Earth at high speed, what would it appear to look like in the frame of Earth and in the frame of an occupant inside the spaceship? Would the diameter change?